This volunteer social work project is perfect for experienced social workers on a career break or recent graduates. Social work is not a field that is practised widely in Ghana. Few people have a degree in Social Work, and even fewer actually practice social work as a career. This is mainly due to the fact that in Ghanaian society mental health issues are not always given the same level of recognition or attention as physical illnesses. In other words, if you are physically fit and healthy, there must be nothing wrong with you. As such, there are many groups of people in Ghana who are in real need of psychological support, such as children who are victims of domestic abuse, child trafficking, or troubled home environments. Your skills and knowledge as a social worker will be extremely valuable at the projects we work with as it will help to enhance the support we can offer these vulnerable individuals. How can volunteer social workers help in Ghana? One of the benefits of volunteering as a professional volunteer is that your placement will be tailored to your expertise and interests. Additionally you can select your own start date. We recommend undertaking this project for 1 month minimum. The vision of this project is to develop frameworks surrounding social care and support. During your time in Ghana you will be placed in a variety of centres established to protect victims of abuses such as abused children’s shelters, correctional facilities and children’s homes. Eventually, with the help of your expertise and training of local staff, we hope to improve conditions for the children and young people in these institutions. On your arrival our team will sensitise you to the issues at hand and highlight the importance of this work: you will work in institutions with children and youths from troubled backgrounds. It is not only important to try to understand and get to know the children, but it is extremely important to understand the Ghanaian culture, values and norms well. You may encounter children who have been abused by their parents, children who were sold as cheap labour, orphans without family, and children from poor and uneducated backgrounds. Raising awareness and sensitising communities on social factors and problems. Assess and address the needs of rehabilitative support centres and organisations that deal with troubled children. You will have the opportunity to develop long-term care plans and health practices for these institutions and their dependants. Review routines of support centres and suggest alternative improvements. Interact with children and assess their conditions and needs. Improve counselling and therapy methods by providing workshops and seminars to staff, volunteers and local social workers. This project provides you the chance of a lifetime to make a valuable contribution to some of the most vulnerable people of Ghana. Your time in Ghana will be spent in local communities and institutes, working with staff, young adults and children; learning about a different culture and way of life in a developing country. They will want to hear about your life back home and your family and friends. This ‘cultural exchange’ helps our volunteers gain a new perspective on life. Social work in Ghana is scarcely practised. As a result, its importance is rarely appreciated or understood by the majority. They may have very different attitudes and approaches which could make you reconsider how you work in your home country. 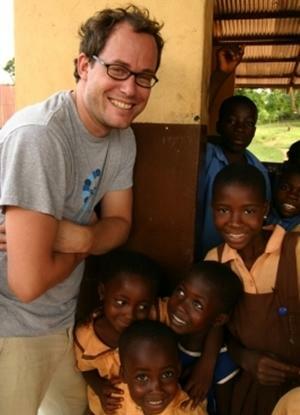 You will have the opportunity to share your expertise and ideas with those on the ground in Ghana. Volunteer Social Work project will give you the experience of working with limited resources to improve the social system, develop long term rehabilitative programs and structures but most importantly provide a better, hopeful future for victims of abuses in Ghana. PRO Social Work volunteers need at least 2 years experience. If you have at least a Bachelors Degree in Social Work or a related subject then you are perfectly suited for this project. Volunteers also require a valid criminal record check. If you specialise in a certain area of social work, such as treating children with disabilities, then please let us know when you apply. If you are interested in this project but don’t have the relevant experience, then please read about our regular Care projects in Ghana.